Rarely available, Flatiron corner of Fifth Avenue! 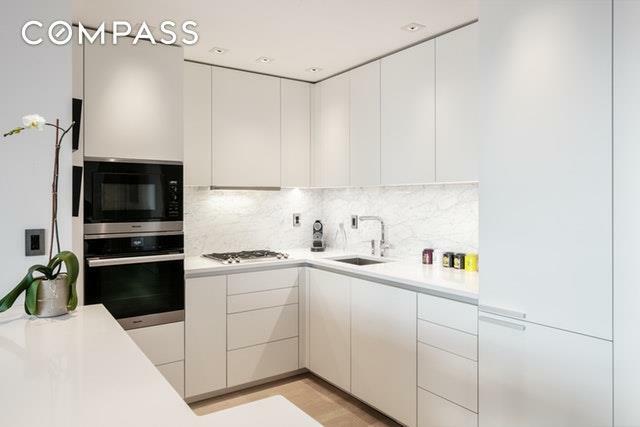 You cant miss this sunny gut-renovated convertible three-bedroom home with southern exposure and impressive skylines. 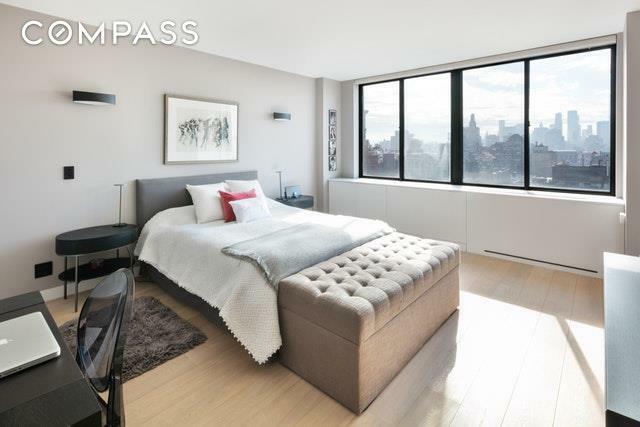 Enter through a gracious foyer, past the open kitchen, leading to a double-wide living room complete with a wood-burning fireplace, a generous balcony and oversized windows showcasing some of Manhattans most iconic views. Beautiful new oak floors throughout the apartment highlight a palate of natural materials. No expense has been spared for this gorgeous designer renovation.The custom Poggenpohl chefs kitchen features white mat lacquered cabinetry, Carrera marble backsplash, and is equipped with top-of-the-line appliances, including a Miele oven and microwave, Gaggeneau electric cooktop and dishwasher, and a Lieber fridge. The master bedroom suite features two California outfitted closets including a dressing. 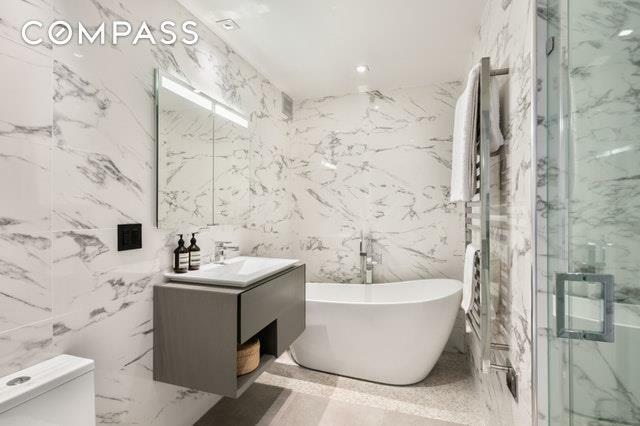 The lavish master bathroom is a superior mix of Calacatta marble, Porcelanosa tiles, vanity and sink, complete with a towel warmer, soaking tub and a glass enclosed shower. The second bedroom includes ample closet space. The second bathroom features a shower and the same beautiful tiles, vanity, sink and towel warmer as the master bathroom. A Miele washer and dryer in the apartment makes life easier.Grosvenor House is a full-service white glove luxury condominium featuring a 24-hour doorman/concierge, landscaped roof deck with spectacular views, live-in super, fitness room, laundry room, bike room and storage units for rent. 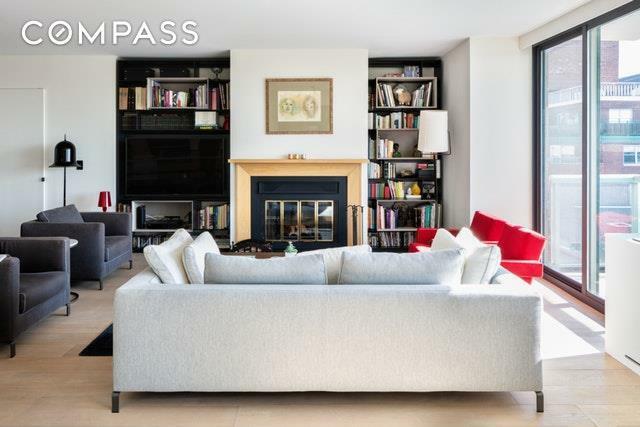 Amazing location, just two blocks from Union Square, with an incredible selection of subways and buses, and an endless choice of restaurants, shopping and entertainment. Union Square Greenmarket, Whole Foods and Trader Joes are also just a few blocks away!